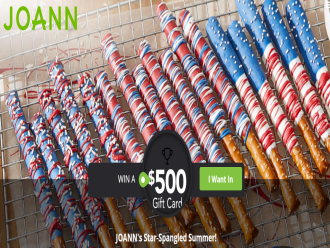 Joann Quikly Summer Sweepstakes – Win a $500 Joann gift card! SWEEPSTAKES ENTRY PERIOD – The opt-in period begins on June 13, 2018 at 5:00 a.m. Eastern Time (“ET”) and ends as soon as the live release in the Quikly campaign, which shall be no later than June 21, 2018 at 11:59 p.m. ET but could end sooner. All others to respond: 40% Off a Total Regular Priced Purchase. Stampington & Co. Sweepstakes – Win an art bundle worth $136! Win an Art Bundle worth $136! ENTER SWEEPSTAKES HERE – Stampington Sweepstakes page. ENTRY LIMIT – Limit one entry per person. Earn bonus entries when a friend enters using your unique referral code. Note: By entering the Sweepstakes, you agree to receive, or continue receiving, email communications from Stampington & Company. You may opt out at any time by clicking the Unsubscribe link. ELIGIBILITY – The Sweepstakes is open to all individuals, age 21 or older at time of entry. U.S. Residents only. PRIZES -One prize: Art Bundle Worth $136 (includes Ranger Distress Oxide Inks and more). RULES – See sweepstakes rules here (on the entry page). 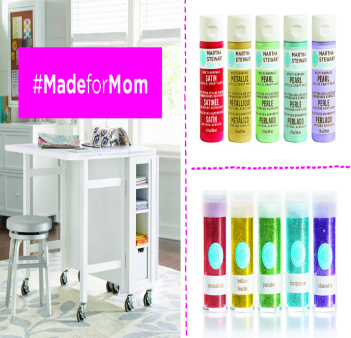 Martha Stewart “#MadeForMom” Sweepstakes – Win Martha Stewart craft products! 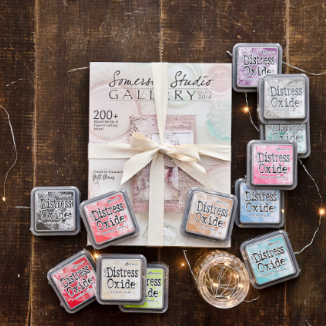 Win the complete line of Martha Stewart Craft Paint products and more! ENTER SWEEPSTAKES HERE – Martha Stewart Sweepstakes page. ENTRY LIMIT – Limit one (1) Entry per person. ELIGIBILITY – Sweepstakes entrants and prize recipients must be both (a) Legal residents of one (1) of the Fifty (50) United States or the District of Columbia, and (b) aged 18 years of age or older at the time of entry to be eligible. SWEEPSTAKES PERIOD – The Sweepstakes begins April 19, 2015 and ends May 2, 2015. PRIZES – There are four (4) Prize Packages: One Grand Prize Winner will receive the complete line of Martha Stewart Craft Paint products, an assortment of paper crafting core tools and party decor, a Martha Stewart Living from the Home Decorators Collection Craft Space Collapsible Craft Table and a Martha Stewart Living from the Home Decorators Collection Craft Space Craft Stool. The approximate retail value (ARV) of the grand prize package is $2,485.00. One (1) Runner Up Prize Winner will receive the entire Martha Stewart Craft Paints chalkboard paint line and an assortment of paper crafting core tools and party decor. The ARV of the Chalkboard Paint Prize package is $539.00. One (1) Runner Up Prize Winner will receive the entire Martha Stewart Craft Paints vintage decor paint line and an assortment of paper crafting core tools and party decor. The ARV of the Vintage PAint Prize package is $424.00. One (1) Runner Up Prize Winner will receive the entire Martha Stewart Craft Paints and an assortment of paper crafting core tools and party decor. The ARV of the Paint Drawer Prize package is $264.00. 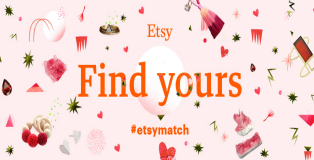 Etsy “The #EtsyMatch Giveaway” Sweepstakes – Win a $500 Etsy gift card! Win a $500 (US) Etsy gift card! ENTER SWEEPSTAKES HERE – Etsy Facebook page. ENTRY LIMIT – Limit one entry per person. Earn bonus entries when friends enter using your referral link. ELIGIBILITY – Open to legal residents of the 50 United States, District of Columbia, Canada (excluding Quebec), France, Germany and the United Kingdom, age 18 years or older at the time of entry. SWEEPSTAKES PERIOD – The Promotion begins at 12:01 AM Eastern Standard Time (“EST”) (05:00:01 AM Greenwich Mean Time (“GMT”)) on January 19, 2015 and ends at 11:59:59 PM EST on January 30, 2015 (04:59:59 AM GMT January 30, 2015). PRIZES – One eligible winner will be selected and (subject to compliance with these Official Rules) will be awarded a gift card to Etsy.com in the amount of $500 USD for US residents, $500 CAD for Canada residents, £250 GBP for UK residents, €400 EUR for French and German residents. Project Life by Stampin’ Up! Giveaway Sweepstakes – Win every Project Life product! Win one of each item available in the Project Life by Stampin’ Up! line! ENTER SWEEPSTAKES HERE – Stampin’ Up Sweepstakes page. ENTRY LIMIT – Limit one entry per person. Earn bonus entries by sharing the sweepstakes – you’ll get one extra entry per friend who enters through your link. ELIGIBILITY – The Sweepstakes is open only to legal residents of the United States and Canada, excluding Quebec, who are eighteen (18) years of age or older at the time of entry. SWEEPSTAKES PERIOD – Sweepstakes begins 12:00:00 AM Mountain Time on October 28, 2014 and ends at 11:59:59 PM Mountain Time on November 30, 2014. PRIZES – FIRST PLACE PRIZE: ONE HUNDRED (100) first place winners. Winners will receive: Their choice of any single Project Life by Stampin’ Up! card collection and one (1) coordinating accessory pack. Approximate Retail Value of prize: $24.90 USD. GRAND PRIZE: ONE (1) grand prize winner will be selected. Winner will receive: A quantity of one (1) of each item currently available in the Project Life by Stampin’ Up! line. Winner must select one language for items where multiple language variants exist. Approximate Retail Value of prize: $475.00 USD.